Posted on June 26, 2017 at 10:54 am. The debate is heating up as anti-gambling group The Alliance for Gambling Reform joins local community groups in the South Morang area in a fight to keep pokies out of a local pub. The Australian Leisure and Hospitality Group (ALH), which is owned by Woolworths, has launched an appeal after its proposal for the addition of 40 new electronic pokie machines in the Commercial Hotel was denied by the Whittlesea Council and the Victorian Commission for Gambling and Liquor Regulation. The Whittlesea Inter-Agency Taskforce on Gambling and the The Alliance for Gambling Reform are now joining forces in the hopes of foiling the appeal. Spokeswoman for The Alliance for Gambling Reform Susan Rennie said the Alliance would support the community-driven campaign in any way possible. “Woolworths is determined to turn the beautiful heritage Commercial Hotel in South Morang into a soulless pokies joint, but we will try our best to stop them,” she said. The Whittlesea area already reports high numbers of problem gamblers, with figures released by the state’s gambling commission revealing Whittlesea residents lost an average of $282,511 on the pokies per day during the 2015-2016 financial year. The city already has close to 700 pokie machines, with $103.4 million lost to the pokies over the past year. ALH Group is presenting an appeal to the Victorian Civil Administrative Tribunal (VCAT) in the hopes of getting the green light to introduce 40 new gaming machines to the Commercial Hotel. 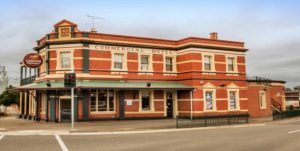 A statement released to VCAT by ALH operations manager Timothy Lalor said the extra machines were needed to cover the costs of Commercial Hotel’s proposed redevelopment, which included an upgrade to the public bar and the addition of a rooftop beer garden. She is referring to the witness statement prepared by ALH from its Responsible Gambling Ambassador, former AFL player and recovering gambling addict David Schwarz. In retaliation, Whittlesea Council has presented its own witness statements from experts who claim the additional 40 machines would overall have a negative social and economic impact on the local community. The VCAT appeal is scheduled to continue in mid-August.